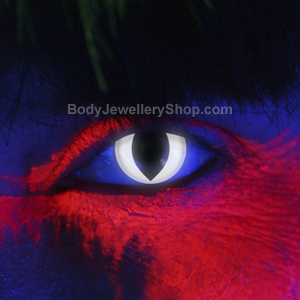 Gothic contact lenses make it easy to give your look that special something and really stand out from the crowd. 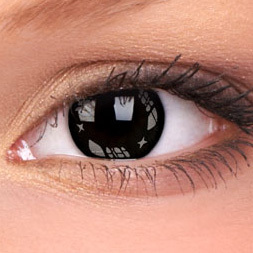 When people talk about “gothic contact lenses” they are usually referring to classic black and white lenses and spooky designs perfect for goth fashions. Personally I think they add an extra dimension to your look, great for really making a statement. The classic gothic lens is of course the blackout lens. These shocking black contact lenses were made famous by Marilyn Manson but they can be worn in lots of different ways â€“ so whether you look like Manson or not is up to you! 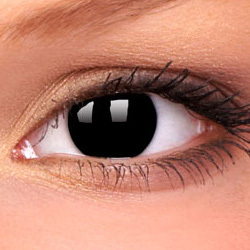 Blackout lenses completely cover your iris and blend in with your pupil, making it look like your eyes are completely black. 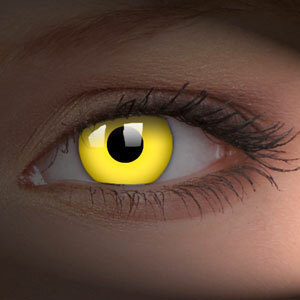 They create a stunning look and they also look great when you wear one blackout lens and one other gothic contact lens. Almost every contact lens manufacturer makes a blackout lens so I recommend that you check out the features of each one and buy the best ones that you can afford. 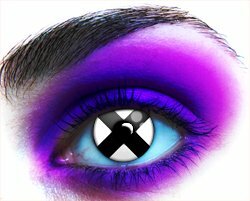 This entry was posted in Contact Lenses and tagged Black Contact Lenses, Black Out Contacts, Contact Lens, gothic contact lenses, scary contact lenses, White Contact Lens, White Contacts, White Out Contact Lenses on March 23, 2010 by Piercing Guru. 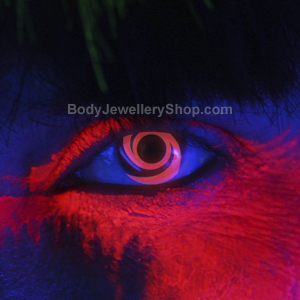 Fashion contact lenses are the wildest new accessories in town! White lenses are amongst the most striking, frightening and bold contact lens designs, available in a variety of different styles and patterns to suit all costume ideas. White lenses are used for cosmetic purposes and are designed with no prescription, requiring no eye examination prior to use. White contact lenses are also perfect for those ghouls andÂ ghosts, zombies, mummies, dead nurses and zombie brides. If you’re dressing up for a saucy hen party or stag do, white lenses are fabulous for fairy outfits, angels and cats with the cat eyes lenses. Don’t forget that you can even mix and match your white lenses with other colours and designs, selecting ‘single’ or ‘pair’ on the product page. 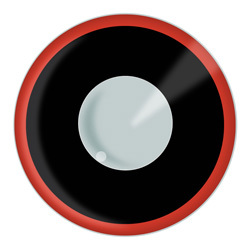 Other popular lenses include the ever popular block coloured red lenses, black lenses, pink lenses, blue lenses and many more on our contact lens section! 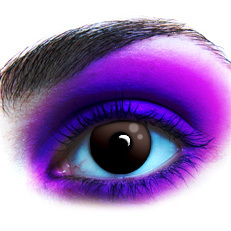 This entry was posted in Contact Lenses and tagged White Contact Lens, White Contacts, White Lens, White Lenses, White Out Contact Lenses, Whiteout Lenses on November 10, 2009 by Piercing Guru.